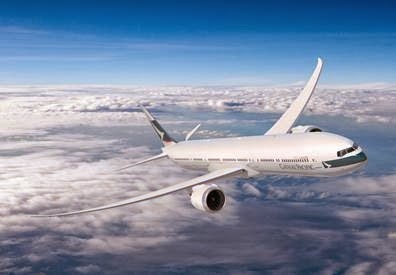 Cathay Pacific Airways today announced its latest investment as part of the airline’s fleet modernisation programme – the purchase of 21 Boeing 777-9X aircraft from The Boeing Company. The new airplanes, which have a list price of about HK$58 billion, are scheduled to be delivered between 2021 and 2024. The 777X is Boeing’s newest family of wide-body airplanes that builds on the 777-300ER that is already deployed extensively around the Cathay Pacific network. The 777-9X is a larger twin-engine jet that will have both a larger payload than other twin-engine aircraft and reduced fuel consumption and lower operating costs. The 777-9X is designed to seat approximately 400 passengers, but this will vary according to each airline’s configuration preferences. The new aircraft’s operating range of 8,200 nautical miles (15,185 km) makes it particularly well suited for Cathay Pacific’s ultra-long-haul network. Cathay Pacific Chief Executive John Slosar said: “Cathay Pacific is committed to modernising its fleet to provide a superior experience to passengers while at the same time as delivering cost benefits to the airline and reducing our impact on the environment. The 777-300ER has done a superb job for us – indeed, Cathay Pacific is now the second largest operator of this type – and we are delighted to be an early customer for this next generation of the aircraft. The 777X family of aircraft will be the largest and most-efficient twin-engine jet in the world, with up to 20% lower fuel consumption than the 777s. State-of-the-art wing and propulsion technology make the 777X significantly quieter than previous-generation airplanes and will help to make it one of the quietest aircraft in its class. The reduced noise signature of the aircraft will allow operators to reduce noise exposure for the nearby community. The addition of this latest order of 21 Boeing 777-9X aircraft increases Cathay Pacific's order book to 89 aircraft from 2014 to 2024, at an aggregate current list price of approximately HK$215 billion. 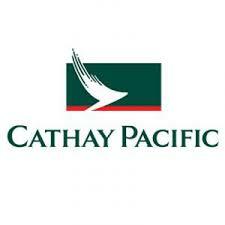 As at the end of December this year, there will be 140 aircraft in the Cathay Pacific fleet. From 2014, the airline is set to take delivery of another 12 Boeing 777-300ERs, meaning it will have a total of 50 of this aircraft type in its fleet by 2020. Other aircraft on order include eight Airbus A330-300s, 22 Airbus A350-900s and 26 Airbus A350-1000s. “The huge investment we are making in new aircraft underscores our confidence in the future of the Cathay Pacific Group as well as our commitment to maintaining Hong Kong’s position as one of the world’s great aviation hubs,” Mr Slosar said. The 777X family of aircraft will employ advanced technologies to drive efficiency and environmental performance. The 777-9X will be powered by the new GE9X engine which, according to GE, is 10% more fuel efficient than GE90-115B that powers other Boeing 777 aircraft. Other features of the aircraft include a folding, raked wingtip and optimised span that will deliver greater efficiency and significant fuel savings.